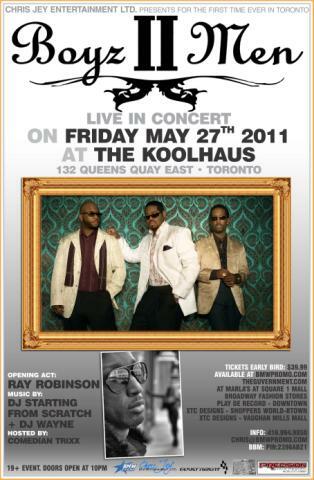 LEGENDS BOYZ II MEN LIVE IN TORONTO NEXT FRIDAY!! TICKETS ON SALE NOW! 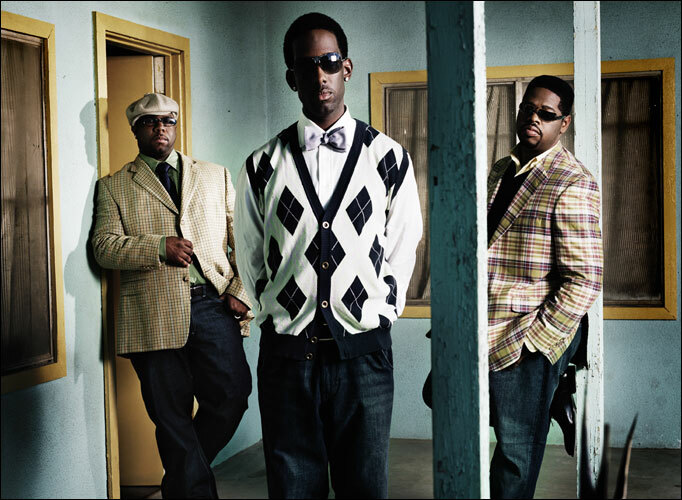 Legendary Grammy award winning R&B group BOYZ II MEN is performing in Toronto! Don’t miss your chance to catch the SoulFathers in action! Boyz II Men were formed in 1988 at Philadelphia’s High School of the Creative and Performing Arts. What does the best-selling R&B group of all time do to follow up the worldwide success of their Grammy-nominated album, Motown: A Journey Through Hitsville USA? What comes next for a four-time Grammy-winning act that is a global concert attraction, that has sold over 60 million recordings, and that will begin its 20th anniversary celebration in 2010? For Boyz II Men, the answer can be summed up in a single word: Love. Love: The new album by Boyz II Men, released November 23, 2009 on Decca. Love: A collection of timeless songs from the heart, one that spans multiple genres and generations. Working once again with Motown producer Randy Jackson, Boyz II Men (Wanya Morris, Nathan Morris, Shawn Stockman) bring their distinctive individual voices and peerless harmonies to bear on songs made famous by Bonnie Raitt, The Manhattans, Journey, The Spinners, Sam Cooke, the Beatles, and Cyndi Lauper. Boyz II Men weave these diverse selections together into an album-length symphony, one that flows seamlessly from an impassioned “I Can’t Make You Love Me” through the shimmering a cappella sound of “Time After Time” to “When I Fall In Love,” a beautiful reworking of a great American standard featuring Boyz II Men’s special guest Michael Bublé. Love is the successor to Boyz II Men’s Decca label debut, Motown: A Journey Through Hitsville USA (Decca/Universal), released November 13, 2007. This collection of Detroit soul classics took the international music scene by storm to a degree that surprised even the group members. Motown rose to No. 27 on the Billboard Top 200 and to No. 6 on the trade’s R&B Albums chart; proportionately, sales in Europe and other territories were even stronger than in the U.S. The album earned two Grammy Award nomina¬tions, for “Best R&B Album” and “Best R&B Performance By A Duo Or Group With Vocals” (for the Stevie Wonder cover “Ribbons In The Sky”) and sparked the release of Boyz II Men’s first full-length live concert DVD, Motown: A Journey Through Hitsville USA – Live (Decca/Universal, released 12/9/07). “The beautiful thing was that we already had shows booked in Europe and Japan, as we’ve done almost every year for many years,” Wanya Morris explains. “But performing the Motown songs was the best album promotion we could have done. And we felt the same effect back in the States as we did overseas, even in places like Billings, Montana and Salt Lake City, Utah. See you at the show!! FRIDAETV will be there! !